It's such a good feeling: Merit. 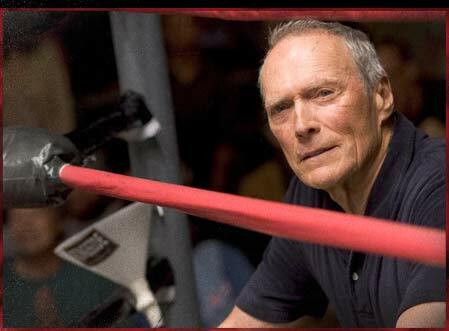 Last weekend, I watched Million Dollar Baby. If you haven't seen it, do. I had no idea. I thought it was going to be a feel-good sports movie. the gravel in Clint Eastwood's voice. Um, can you believe this man is over 80 years old? and I think I figured out what gives it merit. I love the emotions that it grapples with. things that we've all felt. 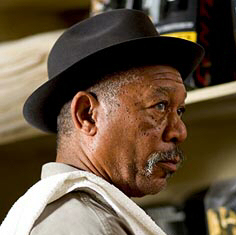 This picture of Morgan Freeman represents emotions. Obviously. and I think that is rare.